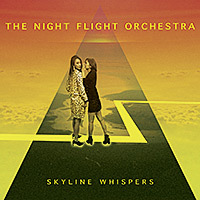 Swedish classic rock band The Night Flight Orchestra - featuring Björn Strid (Soilwork), David Andersson (Soilwork) and Sharlee D' Angelo (Arch Enemy, Spiritual Beggars) - will be release their new album entitled ‘Skyline Whispers’ on 9 June 2015 via Coroner Records. The album has been recorded at Nordic Sound Lab Studios, Skara (Sweden), engineered by The Night Flight Orchestra and Bengan Andersson, mixed by Sebastian Forslund and mastered by Thomas Plec Johansson at Panic Room Studios, Skara (Sweden). You can listen to Björn Strid talking about the forthcoming album with Canadian rocker Danko Jones on the latter’s podcast episode below, where you can also preview the brand new song ‘Living For The Nighttime’. 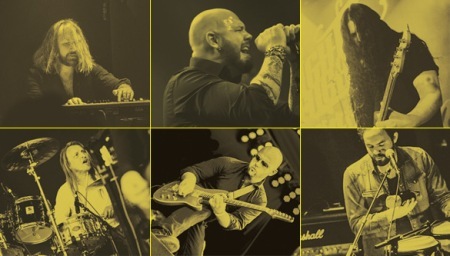 The Night Flight Orchestra will play at Stockholm Rocks Festival on 25 April 2015.